The British Election - Through the Looking Glass - Tweedle Dum or Tweedle Dee ? This article may be freely shared in part or in full, with or without author attribution and source link. This is not an normal election, but most readers will already be aware that in reality its always been about Brexit, and it will continue to be about Brexit after the election, despite any 'upsets'. It is however, human nature, no matter how awake the reader, we all want to pick the winner. Even if we are totally aware that the choice offered is invariably a choice of the lesser of two evils. So, should we hope that one candidate wins, and if so which candidate ? That is the simple question, who is going to win, and who should we prefer to win. The problem is that entire election is being run Through The Looking Glass, in an inverted world with up being down, and black being white. Party politics is always problematic, but in this election it has reached a whole new level. The Alt Media is supporting Theresa May, Conservative, would that be a good result ? First, a reminder that the New World Order always has a plan, it always has some sort of effective control of both candidates. Why all of a sudden have so many people forgotten this basic home truth, but that is to digress. For either candidate to have broken that golden rule of western politics, should require extraordinary proof, not rants from fake alt media leaders who have been co-opted into party politics. In the fake alternative media, which has been co-opted by the right wing, they conveniently forget Theresa May was the person in charge of the Home Office for years, who let in all those "muslim terrorists", "migrants", and that whole theme which most triggers the xenophobic alt right. I mention immigration, because that is the core topic that the fake alt media obsesses, try following Paul Joseph Watson on twitter, or any other so called leading figure in the alt right. I should caution you that if you follow him for two long, you either end up deciding "Hitler was deeply misunderstood", or you are going to vomit on your keyboard. In other words, in the blind hatred of all things Left Wing, they forget that British Prime Minister, Theresa May has a track record of immigration on a scale that Angela Merkel could be proud, as I said welcome to Through The Looking Glass. Where a candidate who has a track record of allowing Mass Immigration, is represented as the solution to "close the floodgates". Forget the speeches and publicity stunts, in which Theresa May claimed to be tough on immigration, the facts are rather different ; Immigration hit record 650,000 in Theresa May’s last year as Home Secretary. The other reason the fake alt media would demand votes for Tweedle Dum, instead of Tweedle Dee, would be BREXIT. The problem, and it is a huge problem, is that despite Theresa May promise to deliver Brexit, its not credible. Let us never, ever forget that Theresa May voted and campaigned for REMAIN. Sure, the Machiavellian side of her brain made sure it was all very low key as she plotted David Cameron's downfall. But again, this is backwards and inside out, asking people to vote for a REMAIN candidate to deliver "hard Brexit" . . . 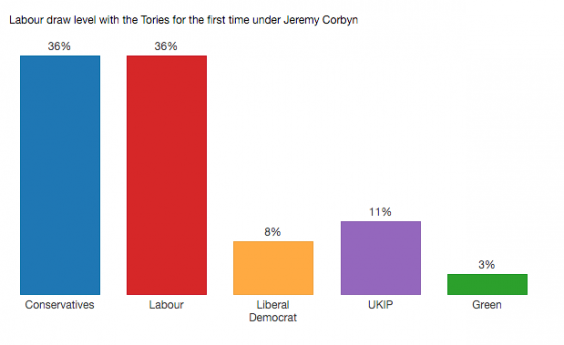 The Alt Media hates Jeremy Corbyn, so would a Labour win be a bad result ? In a frenzy of blind hatred of anything remotely to the left of Adolf Hilter, the fake alt media and its mainstream media friends are running a campaign to prevent Corbyn from winning. With out getting dragged into petty party politics, I shall instead reveal the shocking reason Corbyn is not the first choice of the New World Order. This is not to say that I suggest anyone rushes out to campaign or vote for Corbyn. Remember the basics, the New World Order always has control over both candidates, even if one of them should have any independent thoughts, dreams or ideals. Its a vicious game is politics, and this election is no exception. What the fake controlled alt right want you to never ever find out, is that Jeremy Corbyn and his brother Piers Corbyn are not illuminati, they are in fact remarkably awake. Its rather odd, that despite Piers Corbyn being a regular guest on the talk show circuit, such as the Alex Jones Radio Show, that in all the appearances I ever saw, nobody mentioned his brother, who might well become the next British Prime Minister. This should make anyone with any critical thinking skills, raise a few awkward questions. Sure, it would not be right to pressure Piers Corbyn to talk about his famous brother, but the omission of never, ever mentioning the subject, even in passing is beyond suspicious. Its not as if Piers Corbyn is estranged from his brother, or has radically different politics - the opposite is true, he campaigns on behalf of the brother Jeremy Corbyn. Just how awake is Jeremy Corbyn ? Jeremy Corbyn claimed the 9/11 attacks were 'manipulated' by the West so it could go to war in Afghanistan in an article he wrote 12 years ago, it has emerged today. The Labour leader made the assertions in a number of written pieces where he criticised Tony Blair and George W Bush for using the September 11 attacks in New York to go to war. He claims Osama bin Laden was made to look responsible to facilitate their aims and seemed to endorse conspiracy theories about a 'New World Order'. That Paul Joseph Watson is a regular reader of the Daily Mail, is an open secret. A more interesting question would be, assuming its probable that either Watson read that story himself, and failing that, some one probably told him several times the day the article appeared, "Why did he not comment of publish the story ?" Even if some reason the alt media missed the story in the Daily Mail, it appeared in other newspapers far and wide, such as the Jerusalem Post who posted a story under the headline British Labor leader Jeremy Corbyn: Osama bin Laden was framed for 9/11 . Here is the opening paragraphs from the Jerusalem Post, which is inspired by The Daily Telegraph. Jeremy Corbyn, the newly elected leader of Britain’s Labor Party, claimed more than a decade ago that Osama bin Laden was framed for 9/11. Corbyn wrote in a 2003 article for the London-based Morning Star newspaper that the United States and Britain made it look like bin Laden, the head of al-Qaida, was responsible for the attacks in order to allow the West to go to war in Afghanistan, the British daily newspaper The Telegraph reported over the weekend. Oh, how awful... For the mainstream media to quickly change the topic, is entirely predictable. In desperate attempts by conservative leaning newspapers, during an election in which the last poll I saw placed on party ahead by only 1% with a margin of error of 5% . . . they avoid mentioning the topic. That the alt media joins in this conspiracy of silence, is in my opinion rather suspicious. So what else is it that is being left out of the public conversation on Jeremy Corbyn ? Jeremy Corbyn, has had a long career on the back benches of British Politics, and during that time he consistently advocated for leaving the EU. After getting blackmailed, his party of illuminate Tony Blair supporting fellow MPs forced him into the position of publicly taking a REMAIN stance. That lasted until the vote, and then it was a barrage of accusations that Jeremy Corbyn actually voted BREXIT. So should the fake alt right think about it for more than 5 seconds, one candidate is secretly a BREXIT voter, and the other is known REMAIN. Jeremy Corbyn might possibly be one of the most awake, politicians in British Politics. A politician that does not worship the Banks, that he does not idolize the Military Industrial Complex. Jeremy Corbyn spoke out against the execution with out trial of Osama Bin Laden. Not that anyone is claiming that Jeremy Corbyn is fully awake, but the more one researches the topic, a constant dribble of small clues can be found scattered here, there and everywhere. So all is not how it seems, its confused, distorted and inside out, upside down and if it makes your head spin, you are not alone. Well the election started off with Labour on about 0-25% of the vote. It started off as a joke contest. Even on the Left Wing London guardian, articles such as "Corbyn is rushing to embrace Labour’s annihilation" appeared. The Economist, ran a headline of "The Labour Party raises the bar for electoral suicide notes". The New World Order, and associates, prefer to keep the false left versus right paradigm alive. So, surprise, surprise, as we near election day mysteriously both candidates are neck and neck racing to the finishing line. They always make sure that happens, if at all possible. Cynics or realists, point out that when an election is to close to call in the polls, it is a lot easier to make a small adjustment to swing the result with election fraud. Next consider that the conservatives, if elected would deliver a Brexit contrary to the wishes of the Bilderberg Elite, and real Truthers should all know that Bilderberg is radically opposed to Brexit. The Atlantis Bilderberg and Allies, want the Euro, and to turn Europe from being a myriad of complex independent nation states, into one power block that at a latter date can merged with the other giant power blocks to form a One World Govt. A strong conservative party, which is in public committed to Brexit, is not the elites first choice. The actual conservative MPs are by a large majority actually staunch REMAIN. The Bilderberg view the option of May as manageable, on the condition that instead of gaining a large majority, that the conservatives get back in - BUT, with a reduced majority of forced into coalition govt with the insane EU worshipping liberal democrats and Nick Clegg. So Plan A, is to run the election, return a weak govt to implement Brexit, or if they get really lucky, a hung parliament. With a little manipulation, they might even call for a 2nd referendum, something May has publicly ruled out, but it would solve all the problems for the Bilderberg and the New World Order. Plan B is more likely outcome, as the real driving force of voters is not found under stupid slogans like "conservative is the new punk" but in reality its a reaction that started in 2008, and people are simply anti-establishment, angry, rebelious and have suffered living in austerity to breaking point. Be wary of any predictions from people such as Paul Joseph Watson, and all the other fake alt media, who jumped on the Le Penn bandwagon, as they completely misunderstand and distort anti-establishment sentiment into their dream of some kind of extreme right wing popular revolution. They got it horribly wrong with Le Penn, and they ignored or minimised the distasteful association of Le Penn with what I describe as the Vichy France Vote, where as I wrote something completely different, that turned out to be completely accurate. It is not that I am super smart or psychic, its because I avoided partisan politics, did some simple background research, and wrote with honesty this article "Beware the next President of France will be Macron". Over on the media empire of infowars, a series of click headlines suggesting an alternative reality, "Le Pen Closing Gap With Macron In Many Polls". When the result came out, the people who lead Le Pen bandwagon, implied Muslims stole the election with the headline "French Election Fraud? Images Show Ruined & Stolen Le Pen Ballots" and the subheading "Arab man appears to remove Le Pen ballots from polling station" by Watson. What I suspect will happen on Thursday, is Plan B. This is in fact the nightmare scenario, as the labour party MPs are sworn enemies of Jeremy Corbyn, who represents real socialists, real people, like him or not. It was the people, the ordinary people, members and affiliates that elected Corbyn as their choice, and the elitists despise, hate and loath Corbyn. I do not argue that public opposition is proof that Corbyn represents the peoples choice. Rather given the history and passion behind the previous attempts to over throw Corbyn, it seems likely he is the real deal. But please do not take that as an endorsement on my part. What will follow is rebellions, fake crisis, fake news, it will be a bigger drama than when Trump got elected, or the Brexit vote. All fake of course, because the real King Maker is the Prince of Darkness, the mysterious 101% illuminati Peter Mandelson. The Real Plan B is to have a coup, then install the annointed minion and puppet Chuka Uma. The man behind the scenes is none other than The Prince of Darkness - Peter Mandelson. The Mail on Sunday can reveal that Mandelson's family has links with powerful Russians stretching back at least two centuries, and he may even be related to the fabulously wealthy Rothschilds themselves. Another article from The Daily Mail confirms the Rothschild connections, and quotes Hanna Rothschild as being in tears after an election defeat for the Prince of Darkness. It also reveals, and remember they are quoting a member of the Rothschild family, talking about her brother Nat Rotshchild. For those who wish to look, sold documented connections between the Rothschild, and those who have run the country, such as Conservative George Osbone and Conservative David Cameron exist. Yet as I have also pointed out, the Rothschilds are also close to the man who ran New Labour Tony Blair, followed by Labour Gordon Brown. For those who use critical thinking, it should be obvious that they really do back both sides, exercise some control both parties and so who ever people vote for, a Rothschild associate is most likely to enter No.10 as Prime Minister. Corbyn may well win, as he has captured the angry voter market who want things to change. That does not worry the New World Order, they have a plan to simply replace him with Chuka Uma, who is a product of Tony Blair and his New Labour with controller Peter Mandelson. As I started with a quote from Alice Through the Looking Glass, it is only fitting to close with the last part of that quote, because its really been an article written for Alice, and was always . . . So she brushed away her tears, and went on as cheerfully as she could. "French Election Fraud? Images Show Ruined & Stolen Le Pen Ballots"
"Arab man appears to remove Le Pen ballots from polling station"
"Corbyn is rushing to embrace Labour’s annihilation"
"The Labour Party raises the bar for electoral suicide notes"
Re: [British Election] - Through the Looking Glass - Tweedle Dum or Tweedle Dee ? It's Make Your Mind Up Time! Thanks for article. The United States media does not really cover the current British Election. You referenced Chuka Umunna in your article. If Chuka Umunna does indeed become anointed his stance on Brexit is very clear. Chuka Umunna has now pinned his theses to the front door of the Labour’s HQ by announcing that Britain and especially London must stay in the single market and customs union in order to preserve foreign investment and economic activity. And Umunna has shown real leadership in making clear – politely, in his non-abrasive and inclusive manner – that the endorsement of the Tory-Ukip line that Brexit means leaving the single market and the customs union cannot and should not be sustained as Labour policy once the election is over. Its only a short while ago that the leadership of the labour party was up for grabs, and Chuka Uma entered as a candidate. He instantly became the bookies favourite ( we have betting shops on main street in the UK ). Then he suddenly, and giving the most lame excuses mysteriously dropped out of the race. It is my opinion that it was a tactical instruction from Peter Mandelson. It’s a year since he announced he was standing for the Labour leadership – and then abruptly withdrew. What went wrong? And will he stand again? "So Plan A, is to run the election, return a weak govt to implement Brexit, or if they get really lucky, a hung parliament. With a little manipulation, they might even call for a 2nd referendum, something May has publicly ruled out, but it would solve all the problems for the Bilderberg and the New World Order." A win for the NWO. The fact that she presided over the immigration explosion and maintains a 100% Bilderberg-approved record on surveillance state apparatus and foreign intervention in the middle east, it is shocking that Watson & alt-right took such vehement opposition to the single "truther" candidate, Corbyn. Makes me wonder if they aren't just alt-right gatekeepers, funneling people towards globalism with 'anything-but-globalism' cover. A limited hangout. This is inline with the Goldman Sachs Bankster takeover of the US government under "MAGA cover" of Trump. IF you read my original article . . .
Labour's Brexit shambles ? well yes but in truth the Labour party is a shambles ,its a party desperate to give the impression that they are united behind Corbyn and failing . On a slight tangent an observation . Labour ,the Conservative party ,the Lib Dems and most of the UK press have always mostly considerd UKIP and it's supporters as extreme right wing , well a fair view UKIP supporters voted Labour so i guess that theory got blown out of the water but it does not get much of a mention if any . Back to the Labour party . Had enough of Corbyn and the Mayor of London politicking over the Grenfell Tower tragedy.